Hands-free automated shifting for accurate and consistent shift points. The all electric operation means no Co2 bottle system or bottle maintenance required. 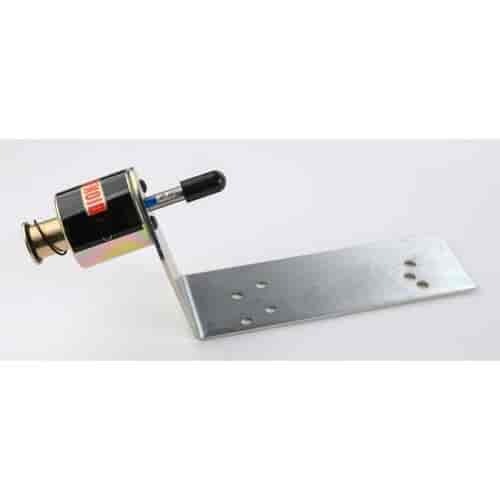 Wires into any RPM activated switch, timer or push button and the solenoid operated shifter makes your 1-2 shift. Kit includes solenoid, bracket, and relay. Hurst or B&M shifter not included. Simply wire Shifnoid into an rpm activated switch, select your shift point and hang on as the electric-operated solenoid shifter precisely hits your shift points for you. All kits include the necessary brackets, solenoid, relay and instructions. SN-5000FC is rated 5.0 out of 5 by 2.